Emiliano Moretti's 94th minute winner gave Torino their first win against Inter at the San Siro since 1988 on Sunday afternoon. Giampiero Ventura made just the one change from the team who beat Cesena last weekend, and that was an enforced one, as the suspended Bruno Peres was replaced by Cristian Molinaro. The first chance of the game fell to Fredy Guarin but the Colombian midfielder blazed his shot over the bar. 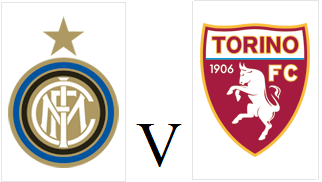 Mauro Icardi forced Daniele Padelli into making a good save, whilst Joel Obi also fired wide of the target as the home side were limited to half chances. Despite the home side dominating possession, Toro did look dangerous on the counter attack and Josef Martinez should have done better with a free header from a corner. 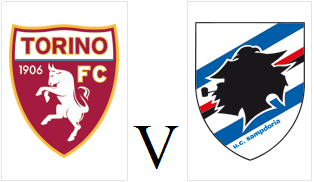 The Granata were creating more and more as the game wore on, and both Cristian Molinaro and Fabio Quagliarella had late chances to earn all three points for Torino. 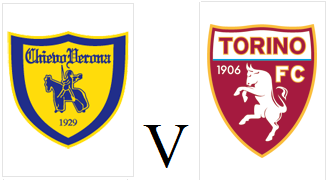 However, with the final kick of the game Torino did win it, as Omar El Kaddouri's corner was flicked on by substitute Maxi Lopez and experienced defender Emiliano Moretti got the final touch to earn the Granata a memorable victory. This was a perfect away performance from Toro who remained solid at the back and for once took the chance that they were presented with in the latter stages. This victory was the first time Torino have beaten one of the established 'big clubs' in Serie A since returning to the top division three seasons ago. Maxi Lopez's late strike spared Torino's blushes as the Granata had threw away a two goal lead against bottom-of-the-table Cesena on Sunday afternoon. As expected, Pontus Jansson, Bruno Peres and Fabio Quagliarella all started, whilst there was only a fifth start of the season for Marco Benassi in midfield. Toro took the lead twenty minutes into the game when Alexander Farnerud's pass found Marco Benassi on the edge of the area whose shot flew passed Nicola Leali and into the next. Less than two minutes later, the Granata doubled their lead, when Farnerud's cross found Fabio Quagliarella who ended his long goal drought by volleying it into the bottom corner - with some assistance from the Cesena keeper who fumbled it over the line. However, two minutes before half time Daniele Padelli conceded a second penalty in consecutive games after he fouled Franco Brienza. The former Palermo forward stepped up to take the penalty himself, and scored to half the deficit. Milan Djuric had the opportunity to equalise for the home side early in the second half, but his header went wide of the far post. With just five minutes remaining Pontus Jansson inexplicably handled in the area under no pressure, and Franco Brienza converted from the spot for the second time in the game. However, the drama was not over yet as just two minutes later, Fabio Quagliarella fed substitute Maxi Lopez, and the Argentine finished calmly to secure three vital points for Toro. Torino were once again indebted to captain Kamil Glik as his late equaliser earned the Granata a deserved point against 10 men AC Milan on Saturday evening. Daniele Padelli retained his place in goal, but Emiliano Moretti and Bruno Peres both returned to the starting eleven as expected. There was no emotional return for Alessio Cerci against his former club, as the winger was left on the bench by Milan coach Pippo Inzaghi. Toro made the worst possible start, as they conceded a penalty within three minutes as Kamil Glik was adjudged to have pulled Jeremy Menez's shirt in the area. The Frenchman stepped up to take the penalty himself and slammed it straight down the middle to give Milan the lead. The home side responded well, and Diego Lopez had to make good saves to first deny Alexander Farnerud, and then Fabio Quagliarella. Alessandro Gazzi came close to levelling the scores, but he somehow failed to make contact with Emiliano Moretti's header across goal. The Granata continued to create chances, and this time it was Matteo Darmian who was through on goal but his header hit the post. At the other end, chances were few and far between but M'Baye Niang almost silenced his critics by scoring a spectacular goal, but after pirouetting past two defenders, he curled his shot over the bar. The turning point of the game arrived of the stroke of half time, as Mattia De Sciglio was dismissed after receiving a second yellow card - both of which for fouls on Matteo Darmian. 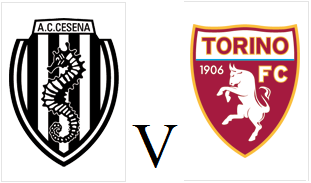 Torino continued to miss a number of chances, with Josef Martinez, Fabio Quagliarella and Marco Benassi all missing great chances to pull Toro level. But with less than ten minutes remaining, captain Kamil Glik, who is now Torino's top scorer, headed home from a corner to earn Toro a point. This was a pleasing performance from Toro who were the better team throughout but will be disappointed that they did not win the game considering the number of clear cut chances there were. There were a number of banners and songs at the game last night that called for Urbano Cairo to leave the club, and if the Toro president does not adequately reinforce the squad during this transfer window, then those dissenting voices will become louder and louder. On May 18th 2014, Alessio Cerci played his last match for Torino, his last contribution for the club was missing a last minute penalty which would have took the Granata into Europe. Tomorrow evening, after an unsuccessful spell at Atletico Madrid, the Italian winger returns to the team who made him an Italian international. In the end, the missed penalty against Fiorentina was of no consequence as Torino eventually qualified for Europe due to Parma's financial problems - and as journalist Giancarlo Rinaldi pointed out on Twitter, the tears Cerci shed after that penalty miss should really have been given back to him. The tears that Cerci shed that night in Florence was a display of sheer emotion from a player who has often been criticised by fans as being 'lazy' or someone who 'didn't care'. But on that night, he reacted in the same way a Torino fan would, and for that reason I hope he receives a positive reaction from the Maratona. Whilst I can understand some fans being disappointed that he chose to leave, the fact that he has a tattoo dedicated to the club, and has already stated that he would not celebrate should he score shows that the player still feels affection to the team who rebuilt his career. In other news, Jean Francois Gillet, Emilano Moretti and Omar El Kaddouri should return to the starting eleven from the side that drew against Chievo on Tuesday. AC Milan suffered a disappointing 2-1 defeat against Sassuolo at the San Siro on Tuesday, but have only lost one game away from home this season. 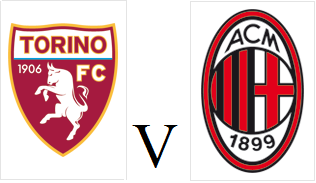 This fixture last season was a dramatic one, as Torino surrended a 2-0 lead in injury time to deny them a famous victory against the Rossoneri.